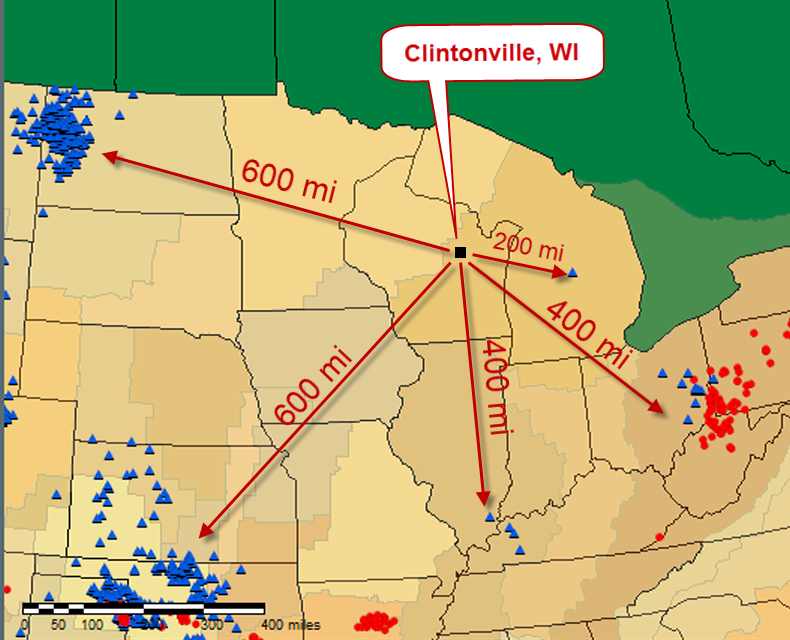 Clintonville, WI is about as remote from oil and gas drilling operations as it is possible to be in the Lower 48 States. The nearest operating rig is in Michigan, some 200 miles away. There are a handful of rigs working in Southern Illinois and Eastern Ohio, some 400 miles distant. Note that the symbols are the locations of the active drilling wells (blue = oil, red = gas); not all of the wells will be fracked. This entry was posted in Energy, Environment and tagged hysteria, Luddites. Bookmark the permalink.